Inspired by emblems from different countries and eras, various compositions of typical Helvetian objects were drafted. Two favorites were selected and elaborated — following that, the shield could be forged and ribbons draped. 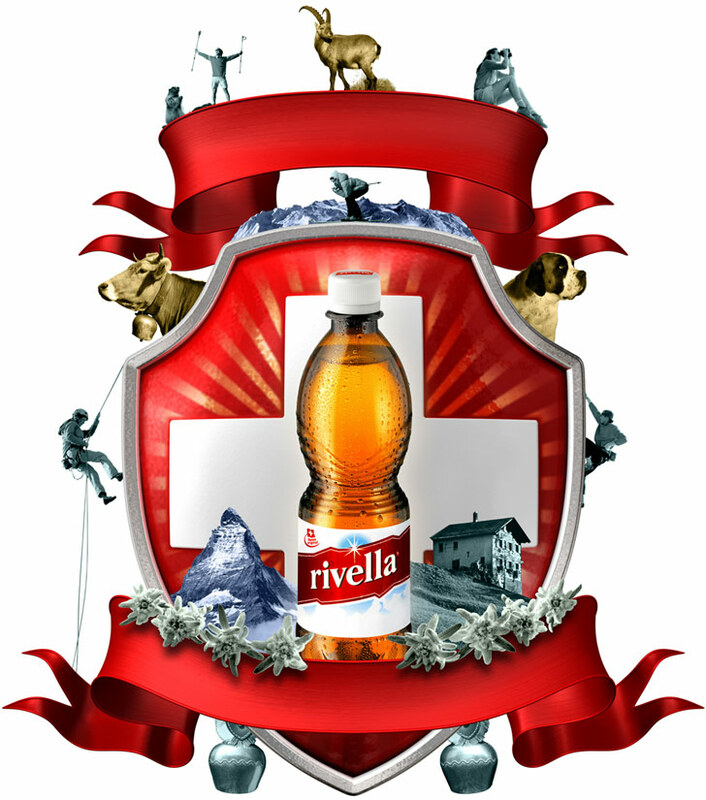 The photos were re-colored in the same manner as in the Rivella Campaign.